Golf carts are now welcome on the streets of Algonac, following the adoption of a new ordinance by the Algonac City Council on Oct. 16. Council OK’s new ordinance, looks to ORVs next. 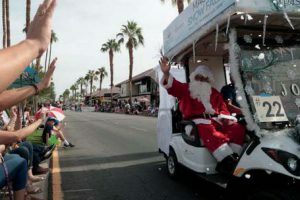 Algonac has joined the growing list of Michigan communities that allow golf carts on city streets. 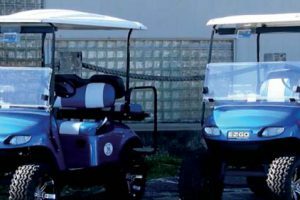 In the three years since the Michigan legislature gave small communities the option of crafting golf cart ordinances, dozens of municipalities across the state have done so. Clay Township has had an ordinance allowing golf carts on its streets since 2015. Richmond also passed a similar ordinance earlier this year. The rules laid out for golf carts in the Algonac ordinance mirror those in Michigan law. Under state law, the driver of a golf cart must be at least 16 and licensed to drive a vehicle, follow traffic signals, drive on the right side of the road, not exceed 15 mph and not drive on roads with speed limits greater than 30 mph except to cross the street. 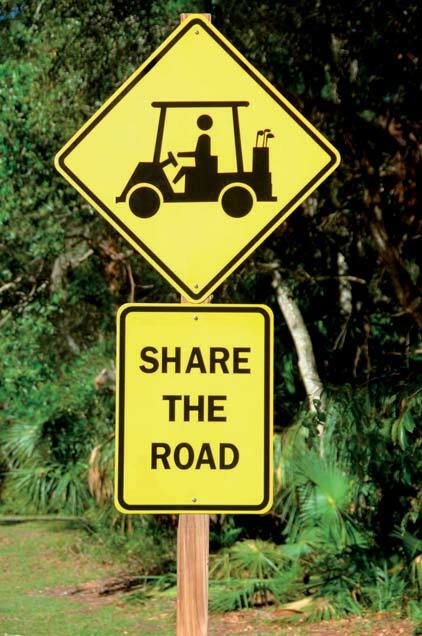 Golf carts can only be used on public roads during daylight hours and cannot be used in inclement weather. Golf carts cannot be operated on any part of M-29. Unlike the Clay Township ordinance, which initially required registration, the Algonac ordinance will not require golf cart owners to register with the city. 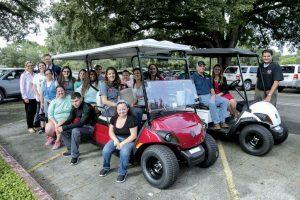 Without a registration requirement, how to best communicate the rules for golf carts was a concern for some city council members. City Manager Denice Gerstenberg said the new ordinance will encourage Algonac Harbor Club boaters to patronize Algonac businesses. Many of the boaters who dock at the club use golf carts to get around the property. The new ordinance went into effect immediately. Off-road vehicles, including dune buggies and all-terrain vehicles, are specifically excluded from the new ordinance. The city attorney is currently drafting a separate ordinance to address ORVs that is expected to come before the city council in the near future.